Réunion island is located in western Indian Ocean, 700 km east of Madagascar. It’s a french oversea land of 2.512 square kilometers inhabited by around 700.000 people. Geologically, this very young island is situated over a hotspot in the middle of an earth-block, like Hawaii archipelago. 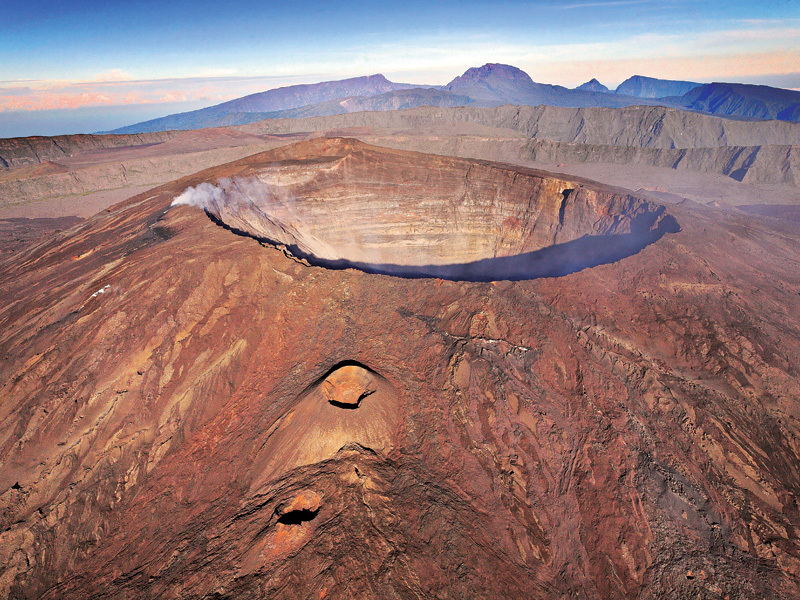 The constitutive volcano is up to 7.000 meters from the oceanic crust, with 3.000 meters over the sea level. The main volcano on the island, “Piton de la Fournaise” (2.632 m.), dominating a caldeira horseshoe-shaped opened to the sea. The volcanic activity is not obviously concentrated on the top of the mount but everywhere in the caldeira, like the actual, around 1.650 m height, begun on november 16. For the last 4 years, the earth opened ten times for an average duration of eleven days. 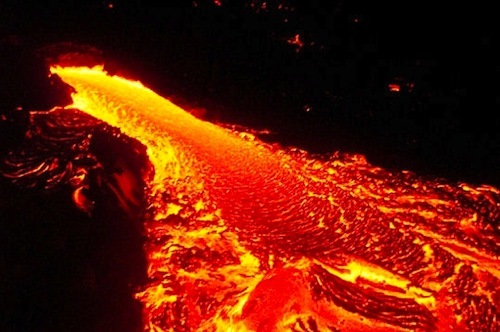 In march 2002, the lava reached the sea. Of course, nobody is living in this area. A net of sensors is monitoring the underground activity and sends datas to an observatory 20 kilometers away. Pedestrian access is restricted, and the easiest way to see this spectacle is by air. 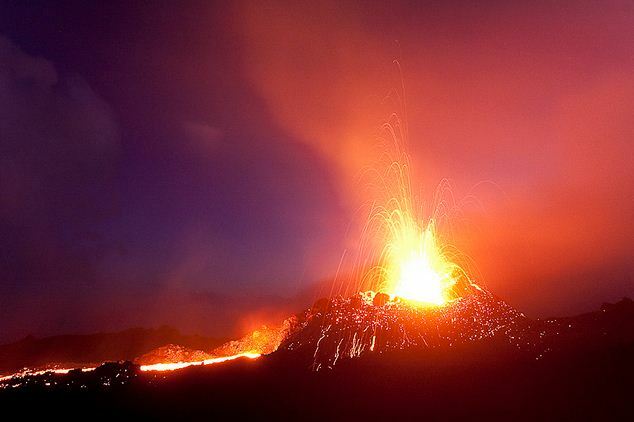 Piton de la Fournaise is one of the world’s most active volcanoes. 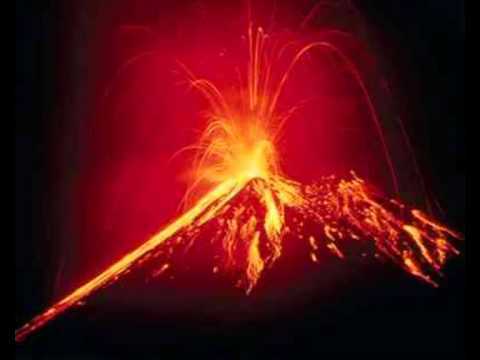 Erupting for the first time about 50,000 years ago, records note that this basaltic shield volcano has erupted nearly 180 times since such eruptions were first recorded in 1640. The most recent occurred in 2004. Piton de la Fournaise (Furnace Peak) stretches to about 2,631 meters in height and, since 1980, has been consistently monitored by volcano experts including scientists and government surveillance facilities, just in case an evacuation of residents and guests is required. 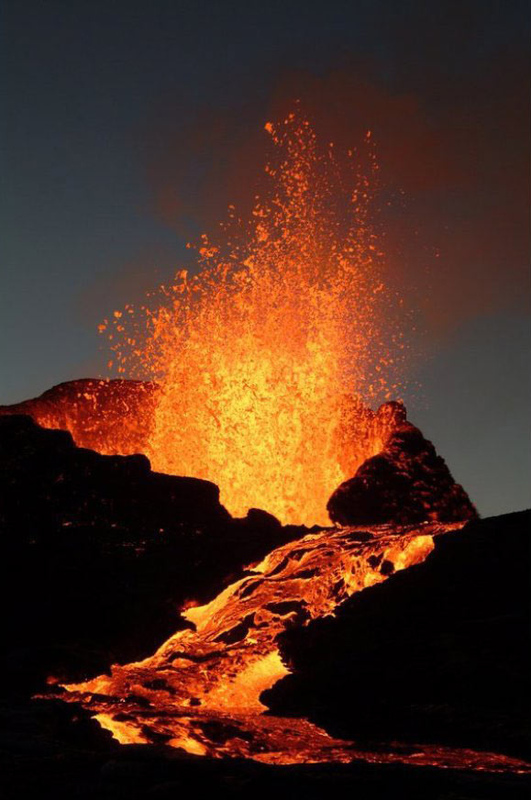 The 700,000 residents of Reunion Island have learned to deal with life in the lava path of an active volcano. As a matter of fact, many locals earn money offering guided walking tours and rides to Piton de la Fournaise and the volcano is undoubtedly Reunion’s most popular tourist attraction. Few leave the island without a close-up look at Furnace Peak. It’s actually quite easy to walk to the top of the mountain and courageous guests can even camp near the rim of the volcano. A helicopter tour is also an awe-inspiring way to experience this amazing sight and such tours are readily available for those who fancy a ride over this bubbling cauldron. In reality, however, the view from down below is the most spectacular. Piton de la Fournaise spews orange and yellow lava day and night, with the evening pyrotechnics topping any first-class fireworks display you’ve ever experienced.